To learn more about the LGBT Community through research, books or archives, the USC LGBT Community has a vast array of resources. Three great resources are available that include: USC Libraries LGBT online reference page, ONE National Gay & Lesbian Archives housed by USC and the LGBT Resource Center literature selections. ONE: National Gay & Lesbian Archives. ONE National Gay & Lesbian Archives at the USC Libraries is the largest repository of Lesbian, Gay, Bisexual, Transgender, Queer (LGBTQ) materials in the world. Founded in 1952, ONE Archives currently houses over two million archival items including periodicals, books, film, video and audio recordings, photographs, artworks, organizational records, and personal papers. 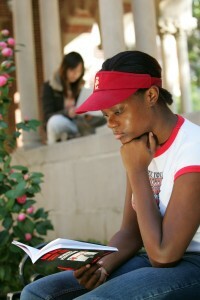 ONE Archives has been a part of the University of Southern California Libraries since 2010. It is the mission of ONE National Gay & Lesbian Archives at the USC Libraries to collect, preserve, and make accessible LGBTQ historical materials while promoting new scholarship on and public awareness of queer histories.